Congratulations to all those who made it this far in your respective leagues. With everything on the line now, expect to see some bigger names get dropped near the end of the week for players with multiple weekend contests. This week in one of my leagues, I saw D’Angelo Russell get dropped for Wayne Ellington just for those two extra weekend games, and it paid off for him. On this week’s waiver wire rankings I have some players poised for strong finishes as well as some options for later in the week. 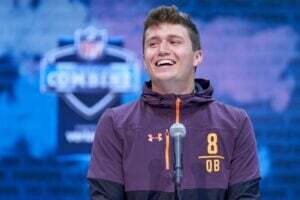 At this point in the juncture, fantasy owners need to pivot to get as many games in against their opponents rather than cling on to big names who won’t play. As usual, these waiver wire rankings take rest of season value into account, and these players are all owned in under 60% of Fantrax fantasy basketball leagues. If you have any fantasy basketball related questions, feel free to ask @JPBalladier on twitter or the @Fantrax team. The reigning sixth man of the year returned to Toronto’s lineup with solid performances. FVV already has a double-double against the Knicks. 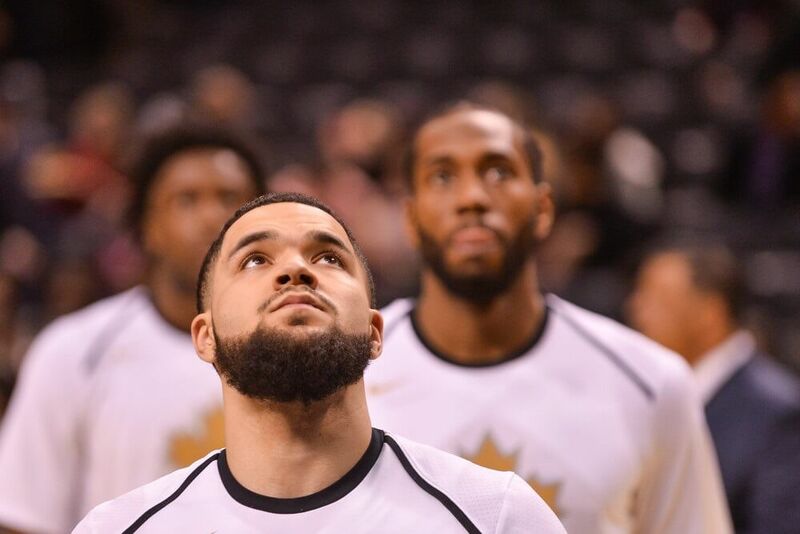 VanVleet now becomes a stand-in for Kyle Lowry. Lowry’s health has been an issue this season and the Raptors might play it safe with a high playoff seed locked up. It’s entirely possible VanVleet keeps his 34-minute per game rate going all the way through the fantasy basketball finals. That alone makes FVV a bonafide pickup in week 24. Bryant has opened a lot of eyes following his mid-season breakout. The free agent to be is now thrust back into the lineup and looks poised for a strong fantasy finish. Bryant will provide points, rebounds, and blocks with plus-60% shooting. He’s also implementing some three-ball into his game. Over his last seven contests, Bryant is taking 1.6 threes per game. Unfortunately, he’s only draining 27% of his shots. That shouldn’t be a deterrent though. Bryant is going to get big minutes to close out the year, and he’ll be motivated to perform with a contract on the line for next year. Bridges is coming off four strong performances for the Hornets, including a double-double. The rookie is a strong rebounder and a good defensive player. It looks like Bridges’ role will keep his minutes in the 30’s to close out the year, making him a prime waiver wire pickup. His strong play in week 23 has him pegged as a top 75 asset. The Hornets play three games in week 24, but two of those come on Friday and Sunday. Bridges will be a popular pickup near the end of the week. The Timberwolves have officially shut down both Derrick Rose and Jeff Teague. Enter Tyus Jones, who will be a great source of assists in week 24. In the Wolves’ last six games, all of which Jones has started, he’s averaging 10.7 points and 6.7 assists. Jones’ big drawback is his FG%, where he’s shooting under 40% for the year. Jones is shooting better in his last six (42%), but owners who treasure their shooting percentages should probably steer clear of Jones. Johnson is always a fantasy asset when he’s getting minutes. Over the Heat’s past four games, Johnson is averaging 24 minutes per game and performing as a top 125 value. Johnson’s recent stretch sees him averaging 11 points, 1.3 steals and a triple on 47% shooting. If his minutes take another jump, he can get into the top 100. Washington is all but out of the playoff race, which means more minutes for Brown. Trevor Ariza is a likely shutdown candidate and Brown should keep his spot in the starting lineup moving forward. Brown’s numbers aren’t massively impressive, but he provides some versatility and upside. Now, the upside isn’t necessarily what you’re looking for in a do-or-die situation. But the Wizards play four games this week, and Brown should get a lot of run in all four. Caruso is getting minutes again after the myriad of injuries in Los Angeles. That bodes well for the second year guard, who is getting a nice chunk of Lonzo Ball’s minutes. Caruso has been a bit of a liability in terms of FG%, but he’s chipping in nearly 5 rebounds and 2 steals. The Lakers have four games in week 24, and Caruso should be a lock for minutes in the upper 20’s. The Timberwolves, much like the Lakers, have shut down multiple regular contributors. This leaves more minutes for Josh Okogie and he’s capitalized thus far. Okogie is coming off a nice four-game stretch where he’s been a top 125 fantasy option. The rookie should keep getting minutes in the low 30’s moving forward, but I wouldn’t recommend adding him until the end of the week. The Timberwolves play on Friday and Saturday to cap off a three-game week. Ellington was a popular pickup near the end of week 23 because of the Pistons’ back-to-back games on Saturday and Sunday. Unfortunately, Ellington played poorly and was held to under 20 minutes in both contests. Prior to that, he was on a nice run averaging 16 points, 1.2 steals and 4.2 triples per game on 51% shooting. The Pistons play just three games this week, but Ellington should get back to see 25+ minutes per game and see his production come close to a top 100 fantasy asset. Outside a matchup against San Antonio where Harden completely took over the game, House is getting a ton of minutes in the Rockets rotation. House is a bonafide three-point shooter, averaging 3.2 per game over his last six outings. However, outside his three-point acumen, House hasn’t been a real contributor in other areas. His FG% is nice for a pure shooter, and he’s providing 12.5 points and 4.5 boards in his last 6 games, but he’s only a fringe top 150 fantasy asset over that time.